Best Buy has worked an exclusive deal with Anchor Bay to carry in-store the 25th Anniversary Blu-ray before any other retailer starting this past Tuesday for $24.99. Everyone else will be getting it August 25th. 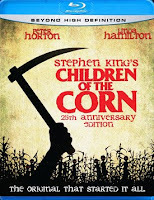 “Stephen King on a Shoestring” (HD) – Interview with Producer Donald Borchers.